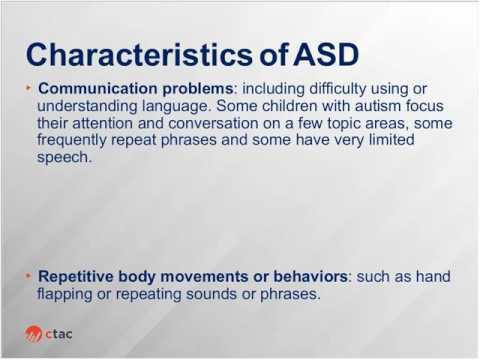 Autism Spectrum Disorder (ASD) is a general name for a group of developmental disorders that cover a spectrum of symptoms, skills, and levels of abilities. New innovations in ASD research has aided providers in identifying the disorder in infants, as well as helping individuals successfully transition between adolescence and adulthood. This is the first webinar in a three-part offering with national experts in the field of Autism to help expand knowledge and understanding of new research, tools and core competencies for caregivers and practitioners working with individuals with ASD throughout the life stages. Dr. Kara Reagon is a Board Certified Behavior Analyst (BCBA-D). She has worked with individuals with autism across the lifespan in a variety of settings. The former Associate Director of Dissemination Science of Autism Speaks, Dr. Reagon led the organization’s international clinical program development and related capacity building efforts. Dr. Reagon received her doctoral degree from Utah State University in Disability Disciplines with an emphasis in Applied Behavioral Analysis and currently provides intensive early stage home-based applied behavioral interventions to support children and families facing ASD.